All characters data can be placed into this sheet. 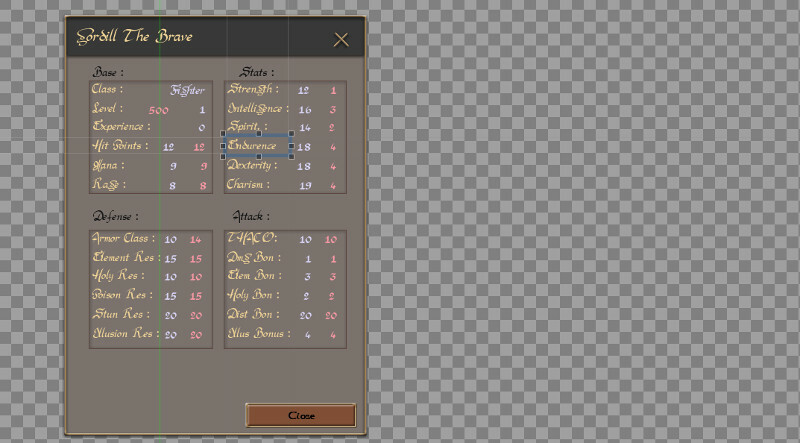 Using the main GUI editor allows you to fully customize the different aspects of your characters sheets. Data are automatically updated during game sessions.